While most agencies with a headcount of 250 and more have filed their gender pay gap reports, quite a few from IPG and Omnicom are still outstanding. 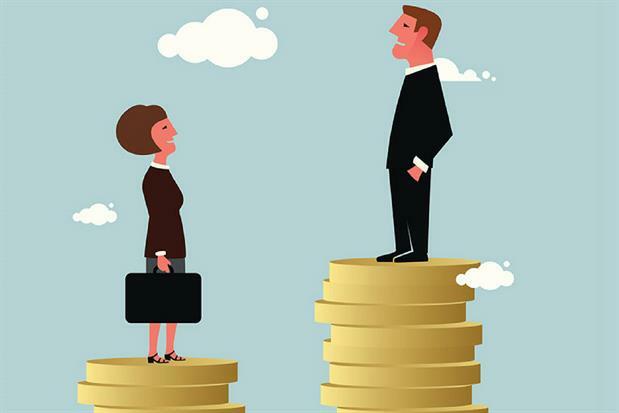 Agencies who meet the size criteria and have yet to file their gender pay gap reports include OMD UK, VCCP, McCann Worldwide, Iris Worldwide and MullenLowe. Out of those who have filed their reports, so far none have performed worse than J Walter Thompson Group which has a mean pay gap of 38.8% and a median pay gap of 44.7%. However, DDB UK comes sadly close with a mean pay gap of 38.1% and a median pay gap of 34.2%. Of the media agencies, Mindshare and MediaCom have the widest mean pay gaps at 32.2%. Mindshare's median pay gap though was worse off than MediaCom at 22.2% vs 11.1%. The next worst-performing media agency to have filed is Havas Group Media with a mean pay gap of 29% and a median pay gap of 26%. On the upside, the best performing agencies with the narrowest gender pay gaps so far are Oliver with a mean of 15.8% and a median of 12.5% and Y&R Group with 18.4% and 14.6%. Sadly no agency has achieved a pay gap of 0%. While only companies with a headcount of 250 or over are required to publish pay gap data, some agencies are using the opportunity to promote their efforts to achieve gender pay parity. The & Partnership told Campaign that in its agency, 46% of its senior management positions are held by women. At this level, the differential in salary between the genders is less than 1%. At the department head level, while 28% of those positions are held by females, the average salary is 32% higher for women versus men. Some media companies have performed very well with JCDecaux's mean pay gap 0.4% in favour of women. But the outdoor media owner may be over-favouring women with a median pay gap 21% in favour of women. Clear Channel UK for one may have to rebalance its pay scales in favour of men. The outdoor media group has a mean pay gap that is 27.9% in favour of women and a median pay gap that favours women by 57.9%. On the flipside are the media owners that heavily favour men in their gender pay gaps. At the bottom of the pile is the Telegraph with a mean pay gap of 35% and a median pay gap of 23.4%. Global Radio Services is a close second-last with a mean of 34.5% and a median of 20.5%, with The Economist not far behind, reporting a mean of 32.% and a median of 29.%. Campaign publisher Haymarket Media Group's mean pay gap is 10.6% and its median pay gap is 4.6%. Campaign has also been compiling the gender pay gap reports of the UK's largest B2C advertisers. Of these brands, the one that hews closest to a 0% pay gap is BT with a mean pay gap that is 0.7% in favour of women and a median pay gap that favours women by 2.3%. Unilever leads brands in terms of favouring women a little too much. The brand's mean pay gap is 8.8% in favour of women and its median is 1.3% in favour of women. The worst-performing brand, and indeed the worst-performing out of all the companies Campaign has been tracking so far, is easyJet. The airline's mean pay gap is 51.7% in favour of men and its median pay gap is 45.5%.